Charlotte has been Head Girl at Flora Harris Eventing for the past seven seasons and undoubtedly is one of the top international grooms on the circuit. Her standard of care and turnout are unparalleled and the team would be lost without her. She more than lives up to her nickname of “supergroom” and most recently won the 2018 Mitsubishi Motors Badminton CCI**** Grooms award. The highest accolade in the grooming proffesion. Having achieved her level 3 apprenticeship, Dani has officially joined the team as 2nd rider and groom. She brings her horse Bizzbee Gery to the yard, and as a combination they look very exciting for the future. Dani is an invaluable team member, keeping the horses fit and excercised when we are away at competitions. Her work ethic is second to none, along with her attention to detail. 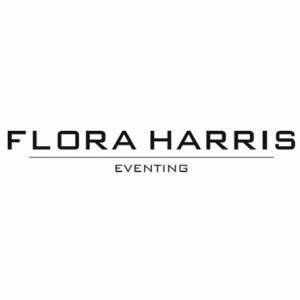 We are thrilled that Dani is going to continue as a valuable member of Flora Harris Eventing for the 2018 season. Gemma is a new member of Team Harris joining us in May 2018. Gemma is very experienced having groomed at various competitions throughout the UK as well as competing her own horses. Gemma is very local and a wonderful asset to the team: she is also an excellent cook! 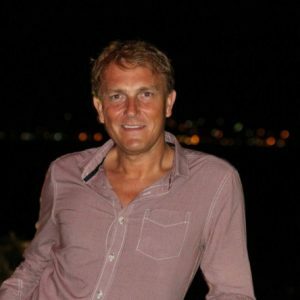 Jeremy is a well known and internationally sought after showjumping trainer. During a successful career spanning 3 decades Jeremy trained all over the world with names such as Ludo Philipaerts and Paul - . He also founded the the first showjumping teams and training ethos in the UAE. Jeremy and Flora have been working together for a number of years and his calm and methodical approach ensures each horse reaches their full potential. 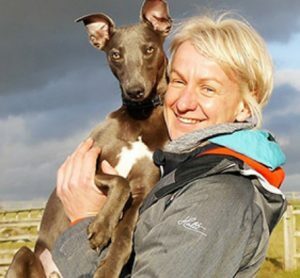 Jeremy travels with Flora to all of her main competitions throughout the UK and abroad. Jon and Flora have been working together for nearly 9 years. 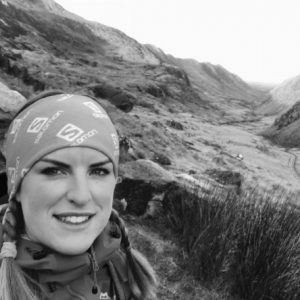 Jon assists Flora with all aspects of her training and performance, and specialises in Sports Science, Neuro-Science and phychology. 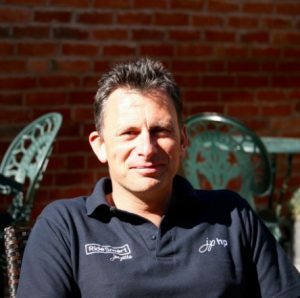 Jon has a proven track record of implementing innovative programs to continually deliver best practice within a range of sports and multi-disciplines. Andrew Fletcher very much at the top of his field. 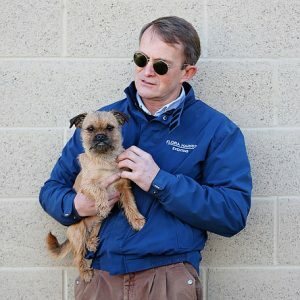 He is a BHS Chief Assessor, an FEI 4star eventing judge, a BD Accredited coach and List 1 judge and has competed himself to international small tour level. Influenced by the mighty Edward Gal and more latterly Carl Hester; his coaching ranges all the way up to Olympic standards and he has certainly brought Flora and her horses on to another level of understanding and performance. Andrew is inspirational in every way, enthusiastic and passionate. He knows how to get the best out of both horse and rider and is unfailingly competitive and dedicated to achieving his exacting standards. Nick has been shoeing Flora’s horses for as long as she can remember. He is crucial in keeping each horse comfortable and feeling their very best and is always on call to help when he is needed. He has a meticulous eye for detail and specialises in shoeing top class competition horses, he travels with Flora to her main competitions and is an expert on adding details on the final day. Helen Milner is a specialist saddle fitter for competition horses and riders. A well fitting saddle is imperative, it should fit the horse and rider to allow the partnership to perform to their utmost ability. Just like buying a high performance car, purchasing a prestigious saddle brand gives you the quality and performance you need! Since Flora moved all her horses onto incredible Saracen Feed over 2 years ago Clare has taken care of the nutritional needs and programs of all the horses on Flora's yard. Each horse is weighed and condition scored regularly throughout the season ensuring they stay at optimum nutritional health. Clare is always on hand to help with their diets and any special requirements that might come up. 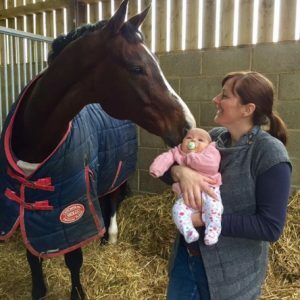 After a 5 year MChiro programme Lucy went on to further her studies and become an equine chiropractor, certified with the International Veterinary Chiropractic Association. As well as treating horses Lucy has worked with sports teams, providing pitch side first aid as well as pre and post game treatments. She has obtained her ICCSD sports diploma with FICS, meaning she is an internationally accredited sports chiropractor. 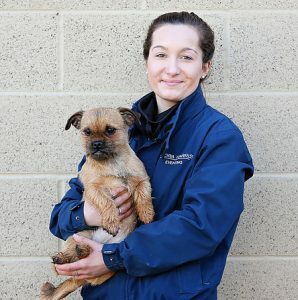 Lucy has been treating Flora's horses for the past 3 years and is a valued and conscientious member of the team always ensuring each horse receives the individual attention they need. Nic has been in charge of the administrative side of FHE for a number of seasons now. She is a wonderful asset to the team working tirelessly behind the scenes to ensure all the paperwork side of things runs smoothly! 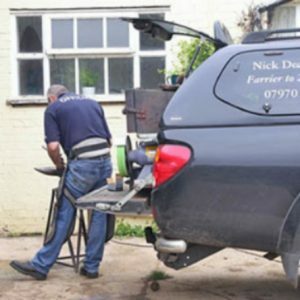 Always on the end of the phone or email Nic liaises regularly with Flora's owners and generally keeps all sorts of things organised and up to date. Hattie is a crucial part of Flora’s team. She needs no introduction having been FEI pony team vet and is a well known and well respected face on the Eventing circuit. 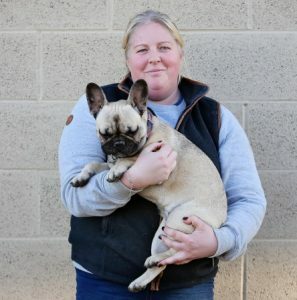 Hattie is practice manager at renowned veterinary hospital Valley Equine in Lambourn and specialises in performance horses in racing, eventing and dressage. Having been Flora's vet now for a number of years she knows the horses inside out and is always available to give any advice or support the team should need. 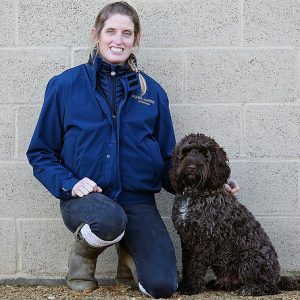 Annabelle is a very well known face on the eventing circuit, having previously trained and qualified with the world renowned Mary Bromley she is now a fully qualified veterinary physiotherapist. Annabelle has a particularly quiet way with the horses allowing them to settle and relax so she can work on them thoroughly and with maximum effect. She is able to offer all the latest techniques in laser treatment and rehabilitation. She treats Flora’s horses at least once a month to keep them in feeling and performing at their best.